Is your old bathroom in need of freshening up? There are plenty of ways to clean up your bathroom interior and create a room that not only looks nicer but functions better. Here are just a few renovation ideas that could be worth splashing out on. Old bathroom fixtures can immediately make a home feel dated. Whilst you may want to cling onto some of the old charm, a chain toilet or a sink with two taps can be impractical as well as looking old fashioned and could be replaced with newer fixtures done in an old style. You should replace fittings particularly if the material has started to wear away. Whilst marble can bring a sense of class to a home, an old marble bathtub that’s started to crack and chip can have quite the opposite effect. The likes of http://www.drench.co.uk are great for looking for new fixtures for you home. Look out for sales and coupons, which may allow you to save money on these big purchases. Be aware that rearranging these fittings in the room could result in hefty plumbing fees and isn’t recommended unless there’s a real practicality problem. If you live in a low pressure area and haven’t got a power shower yet, it could be time to graduate up to the next level. These devices can help regulate water flow to the shower and make showertime more comfortable. Thermostatic power showers can also provide greater heat adjustment, although are more pricey than your standard manual power showers. You can also consider experimenting with different showerheads, including fixed showerheads that rain from above and movable ones that can be more easily adjusted for different heights. Wallpaper in bathrooms can eventually start to peel when exposed to lots of moisture. Tearing off this wallpaper can be an arduous job, you may do better to simply paint over it all. Companies such as http://www.dulux.co.uk have some great bathroom paints to choose from. You should look out for paints made of a MouldTec formulation – these will protect longer against mildew. Old tiling can start to become discoloured and the grouting can start to become grubby and disintegrate. It could be time to re-tile the room and bring a sense of freshness to it. Sites such as http://www.tilebar.com have some great tile options to choose from. Porcelain and ceramic tiles can often be some of the best flooring options for bathrooms and could be worth trying out if you’ve currently got vinyl, wood or - god forbid - carpet. If you’ve got a radiator in your bathroom, why not transform it into a heated towel rack. This will not only give you a place to dry wet towels in the winter - it will give you a nice toasty towel to dry yourself with once you get out of the shower. Many heated towel racks are inexpensive and easy to install compared to other bathroom fixtures. You can browse through heating rails at sites such as http://www.bestheating.com. Old mirrors can start to become mottled and reflect badly on the rest of your bathroom decor. If this is the case with your bathroom, it could be time to get new mirrors fitted. Consider a framed mirror such as a Venetian classic rather than a basic plate mirror. You may also be able to place mirrors creatively to liven certain other parts of the room. A mirror can look great placed on the door of a medicine cabinet. If your bathroom feels dark and poky, you can meanwhile place a mirror opposite a window where it will reflect in more natural light, saving costs of having to add more artificial lighting. Ugly exposed piping is commonly found in many old bathrooms. Replumbing this so that it’s inside the wall is expensive and could make it harder for a plumber to access these pipes without disturbing masonry. A cheaper and more practical option is to box these pipes in with wooden casing. This can be painted over to match the tone of the room, whilst hiding those ugly pipes from sight. Plants can be a great feature to add to a bathroom, breathing life into the room whilst helping to dehumidify the air and fight odours. 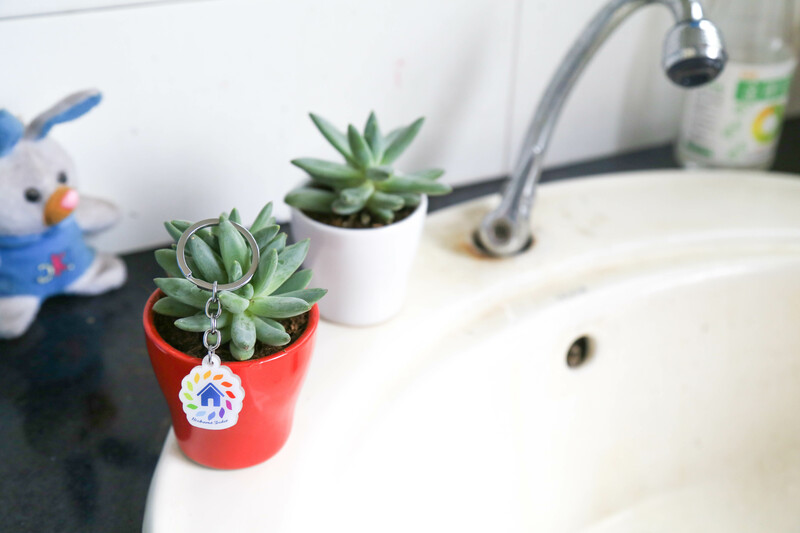 Their fresh source of oxygen is also great for helping our brains to relax - if you’re looking to turn your bathroom into a spa, having a few plants around the tub could help create a relaxing mood. Because of the humidity and potential lack of light only certain plants are suitable here, namely tropical plants. Peace lily, aloe vera and bamboo are some of the best suited shrubs for the bathroom. Sites such as http://www.crocus.co.uk have an extensive selection of houseplants to choose from. Most bathrooms have small windows that don’t allow air to circulate well. This leads to mould as moisture is unable to escape. A great option to combat this is to fit an exhaust fan into your bathroom. This will pump all the humid air out and bring fresh dryer air in. Extractor fans can be set to operate on a timer or by operating a switch. Whilst some can be noisy, there are lots of quiet versions out there now that could be a good option if your bedroom is right next to the bedroom and you’re a light sleeper.